Bond and Vesper eat lunch with Mathis on their arrival in Montenegro. Over the meal, Mathis tells Bond about Le Chiffre's arrival to the country, and how he quickly became very good friends with the local Chief of Police. Finally, Bond and Mathis watch as his officers arrest the Chief after a little Photoshop magic created false evidence against him. Rene Mathis is a field-hardy operative in pay of the British Secret Service. Into his ‘60s, Mathis has seen the Cold War out and his fair share of action. He greets Bond and Vesper warmly and exudes wit with a spark of adventure in his eye. Although it is revealed he spent six years as MI6's man in South America, very little else is known of his past. "Being dead doesn't mean one still can't be helpful…"
Casino Royale - Mathis is Bond's contact in Montenegro. He books hotels and arranges clothing, as well as performing the "housekeeping" duties when 007 gets into a bloody battle with a couple of the goons. Resourceful and clever, Mathis watches his ally's back as 007 pits wits and physical strength against the card shark, Le Chiffre. However, Bond accuses Rene of treason and has him arrested when Le Chiffre informs him, "your Mathis is really… my Mathis." 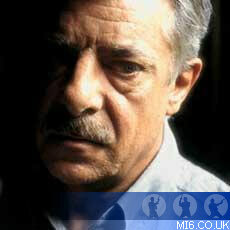 At the closure of the "Casino Royale" mission, the innocence or guilt of Rene Mathis remained to be confirmed. Quantum of Solace - With his name cleared, Mathis is offered compensation for his inconveniences in the form of a lavish house on Italy's Mediterranean coast and an 'assistant'. After Bond's his credit cards are cut off by M and a capture-order is put out on 007, he tracks down Mathis to his safe house. After everything the pair have been through, Mathis proves a valuable ally to 007 when planning his excursion into South America. Bond convinces Mathis to accompany him on one last mission to his old turf. Mathis had previously operated out of the South Americas for MI6, prior to his post in Montenegro. In Bolivia, Mathis wines and dines some of his old contacts before a betrayal of trust lands him abducted by the bent Chief of Police. In a quiet back-ally, Rene Mathis is shot dead by the Bolivian police during their attempted arrest of 007. Bond: You see, they've forgotten you already. Mathis: You're just saying that to hurt me. 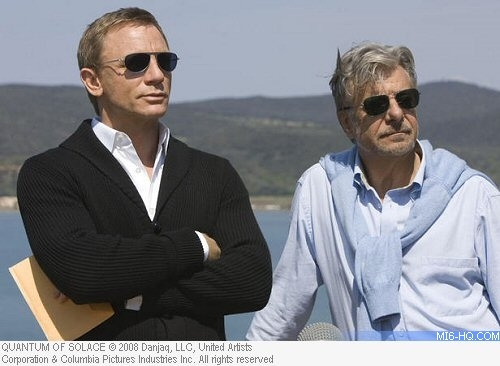 Bond: I need a passport and matching credit card. 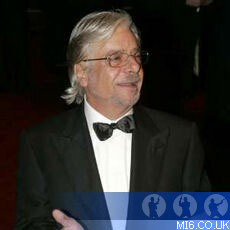 Mathis: Have MI6 run out of plastic? "When one is young it seems so very easy to distinguish between right and wrong. But as one gets older it becomes more difficult, the villains and the heroes get all mixed up." 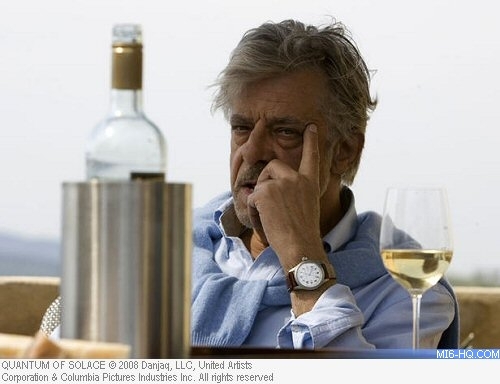 Born in La Spezia, Italy, Giancarlo Giannini studied and practiced electronics for 10 years, before enrolling in the Accademia Nazionale in Rome. In 1965 he appeared in "Fango sulla metropolis", his first screen production. He went on to take minor roles in "Anzio" and "The Secret of Santa Vittoria" before landing the lead in "Swept Away" in 1974. Giannini became known to the western world, not only for his acting talent, but also for his amazing bilingual skills - often used for dubbing popular Italian films into English, or visa versa. 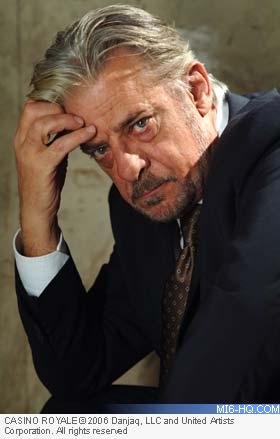 Other achievements include, a 1976 Academy Award for his work in "Seven Beauties" and the role that shot him to International stardom: Inspector Pazzi in "Hannibal". As well as appearing on screen in over 100 films or television series, Giannini has dabbled in directing, writing and producing - most notably the 1987 film "Ternosecco" which he wrote and directed as well as starred in.